The Pittsburgh Pirates visit Olympic Stadium on Friday, March 31, 2017 to play the Toronto Blue Jays in a Spring Training matchup. The probable starters are Jameson Taillon for the Pirates and Marcus Stroman for the Blue Jays. The opening line for this matchup has Pittsburgh at +110 and Toronto at -130. The Pirates had a 89-69-4 over/under record and a 74-88-0 run line mark last season, meaning they covered 46% of the time. 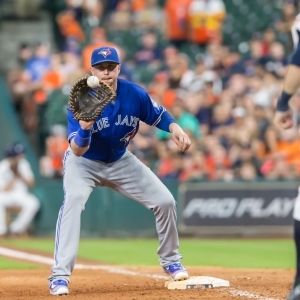 The Blue Jays were 79-83-0 against the run line and had a 63-93-6 over/under record. They covered the spread 49% of the time. The Pirates are coming off a 78-83 record in 2016, including 40-41 on the road. Starting pitcher Jameson Taillon had a 5-4 record with an earned run average of 3.38 and a WHIP of 1.12. He had 85 strikeouts over his 104 innings pitched and he gave up 99 hits last season. He allowed 8.6 hits per 9 innings and he had a FIP of 3.71. The bullpen last year had an earned run average of 3.57 and they gave up 558 base hits on the year. Teams hit .248 against the bullpen while being struck out 536 times and walking 232 times last season. As a team, Pittsburgh allowed 9.25 hits per nine innings while striking out 7.64 batters per nine innings. They were 18th in the league in team earned run average at 4.21. The Pirates pitchers collectively gave up 1,491 base hits and 679 earned runs. They allowed 180 home runs last season and they allowed 1.1 homers per nine innings as a staff. Pittsburgh as a pitching staff walked 533 batters and struck out 1,232. They walked 3.3 men per 9 innings while striking out 7.6 per 9. They had a team WHIP of 1.40 and their FIP as a unit was 4.30. As a team Pittsburgh batted .257, good for 12th in the league while putting together a .245 average away from home. The Pirates held a .402 team slugging percentage and an on-base percentage of .332 which was good for 4th in baseball. They ranked 12th in baseball with 8.8 hits per game. Andrew McCutchen is coming off a 2016 season in which he hit .256 with an on-base percentage of .336. He had 153 hits last season along with 81 runs scored and 79 runs batted in. He struck out 143 times and walked 69 times. Starling Marte hit .311 last year and he had an on-base percentage of .362. He totaled 152 hits while scoring 71 runs and he drove in 46. He walked 23 times and struck out on 104 occasions. The Pirates had 1,426 hits, including 277 doubles and 153 home runs. They stole 110 bases and were thrown out stealing 45 times. Pittsburgh walked 561 times last season and they struck out 1,334 times as a unit. They left 1,173 men on base and had a team OPS of .734. They scored 4.5 runs per contest and scored a total of 729 runs last year. Toronto had a 46-35 home record and a 89-73 overall mark in 2016. With an earned run average of 4.37, Marcus Stroman had a 9-10 record and a 1.29 WHIP last season. He had 166 strikeouts over the 204 innings he pitched during which he gave up 209 hits. He allowed 9.2 hits per nine innings and his FIP stood at 3.71. Last season the bullpen had an earned run average of 4.11 and they gave up 452 base hits on the year. Teams hit .249 against the Blue Jays bullpen while being struck out 472 times and walking 136 times last season. As a team, Toronto allowed 8.26 hits per nine innings while striking out 8.1 batters per nine innings. They were 6th in the league in team earned run average at 3.78. The Blue Jays pitchers as a team surrendered 1,340 base knocks and 613 earned runs last season. They gave up 183 home runs last year and they gave up 1.1 home runs per nine innings as a staff. Toronto as a staff walked 461 hitters and struck out 1,314. They gave up a walk 2.8 times per 9 innings while they struck out 8.1 per 9. Their team WHIP was 1.23 while their FIP as a staff was 4.05. As a team, they batted .248, good for 23rd in the league while putting together a .260 average at home. The Blue Jays held a .426 team slugging percentage and an on-base percentage of .330 which was good for 6th in baseball. They ranked 24th in baseball with 8.38 hits per contest. Josh Donaldson comes into this matchup after batting .284 with an OBP of .404. He had 164 hits last year along with 122 runs scored and 99 RBI. He struck out 119 times and walked on 109 occasions. Justin Smoak hit .217 in 2016 and he had an OBP of .314. He collected 65 hits while scoring 33 runs and driving in 34. He earned a walk 40 times and punched out 112 times. The Blue Jays as a unit had 1,358 base hits, including 276 doubles and 221 homers. They had 54 stolen bases and were thrown out 24 times. Toronto as a team walked 632 times last year and they struck out 1,362 times. They had 1,120 men left on base and had an OPS of .755. They scored 4.69 runs per game and totaled 759 runs last season. Who will win tonight's Pirates/Blue Jays MLB game against the spread?